A Need Of Today's Times! About 15 billion years ago 'Big Bang' happened and universe came into existence. It is said that our earth has originated about 4.6 billion years ago. And thereafter gradually the life on earth came into existence. Researchers say that 'Honey bees' appeared on this earth when flowering plants (i.e.angiosperms) evolved even before the start of human evolution. Honey bee belongs to 'Hymenoptera' family of insects and 'Apis' genus. Honey bees are extremely useful insects in nature since they help in preserving biodiversity by providing most important service called 'Pollination'. Among total pollination done through the agency of insects (i.e.Entomophily), approximately 70 to 80% pollination is achieved with the help of bees only. 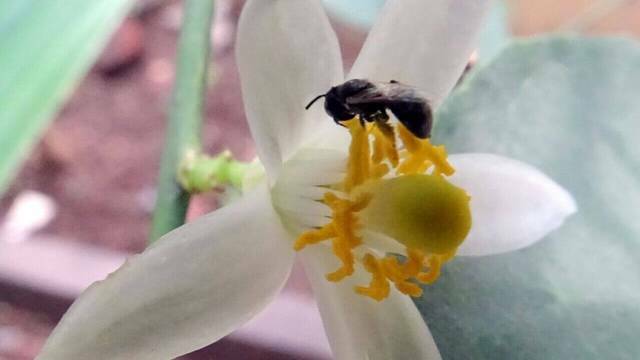 Because of this bee pollination many plant species survive on earth, and thus biological diversity gets preserved and ecosystems are flourished. We human beings too are benefitted from bee pollination since we get best quality fruits and crops in large quantities. In addition to this, we get so many useful products from honey bees. The first and foremost product from bees which comes into our minds is 'Honey'. Honey bees make honey from the nectar of flowers which they visit. Pure natural honey is tastier and rich in nutrition. It boosts our immunity power and keeps us healthy. This is why, it is recommended in olden times in Ayurveda texts to consume pure raw honey daily. Apart from honey, we also get other useful products from honey bees which are Bees wax, Bee pollen, Propolis, Royal jelly and Bee venom. These days we see massive decrease in bee population due to various reasons such as cutting of flowering trees on large scale in cities, diminishing forest belts, destroying bee hives (bee nests) out of ignorance and fear by using fire or pest control, destroying bee hives while extracting honey by using unscientific methods, building tall mobile phone towers that emit powerful electromagnetic waves, using hazardous chemical insecticides, pesticides, weedicides in farms,drastic climate changes, etc. As a solution to this problem, it is required to spread awareness among people about important role of honeybees in nature and its uses to human beings. Since bees are essential to protect biodiversity in nature, we need to save and conserve bee population. For this, we need to protect bee habitats by protecting jungles and planting more bee-friendly flora in city areas. Beekeeping is an important socio-economic vocation which helps in promoting eco-friendly agriculture. Furthermore, it is not an exaggeration to say that saving honey bees means saving the lives of farmers in India. Adopting scientific Beekeeping practices in farming can be effective remedy on the problems like farmers' suicides. 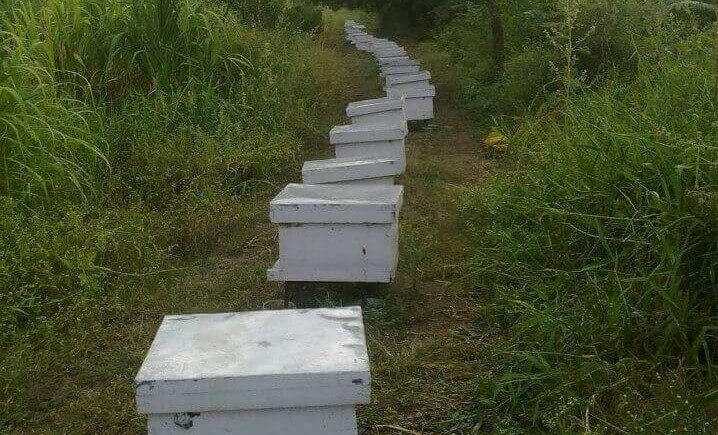 Because Beekeeping provides additional income to farmers and bees kept in the boxes prove helpful in increasing the farm produce. To save bees in city areas, it is required to stop the unnecessary use of pest control on bee hives. As said earlier, people destroy hives out of ignorance and fear by using pest control or fire. Therefore, it is required to spread awareness about importance of honeybees on large scale among people residing in city areas. Instead of destroying the bee hive, it can be transferred to a safer place and relocated there with the help of honey bee specialist. Three types of bees of Apis genus are found in India, namely Apis dorsata (Rock bee), Apis cerana indica (Indian box bee) and Apis florea (Dwarf bee). Apis mellifera (European bee) is the Italian bee which has been imported to India. Among these bee types, only Apis honey bee and European honey bee can be domesticated and kept in bee boxes. Rock bees and Dwarf honey bees are wild bees and hence these bees cannot be domesticated. One more honey bee is found in India which does not belong to Apis genus but belongs to 'Trigona' genus and 'Meliponini' tribe. This bee is called Meliponula ferruginea (Stingless bee). This honey bee type is the smallest in size. Today each bee type is facing difficulty for its survival due to some or the other reason. People are afraid of bee sting and hence they take the decision to destroy the bee hive. It is required to draw attention of such people to the fact that bees attack only to save their colonies. Bees are social insects and they live in colonies. It is the duty of guard bees to protect their Her Highness-the Queen, the eggs and the young bees. Therefore, if they see any intervention in their area, then as a defense mechanism they attack to protect their colony. The attacking bees know that they are going to die once they sting. But still they prefer the myrtyrdom to save their colony. If we plant more flowering trees and protect bee habitats, there is no reason for bees to attack us. 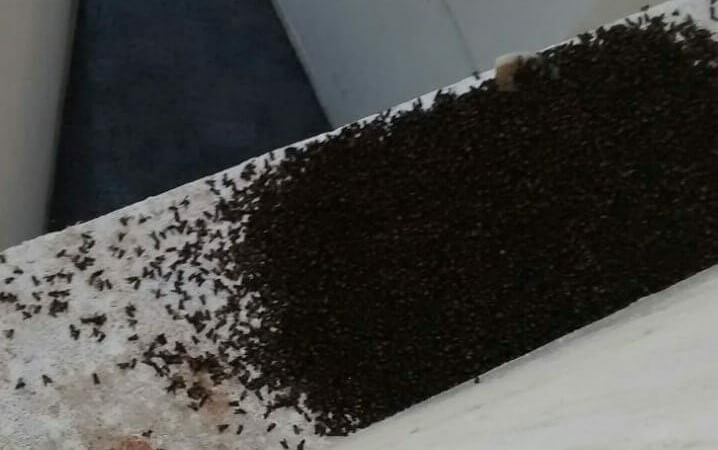 In city area, even if a bee enters our house mistakenly, then there are some simple techniques to be followed like switching off lights and opening the windows which will prevent that bee from attacking us. And it is to be kept in mind that not all honey bee types attack as some honey bees like Apis florea are not violent. These are the bees which are commonly found in gardens and parks where abundant flowers are available. It is a basic principle of ecology that everything is connected to everything else in nature. And even if one species disappear, it affects the existence of other dependent species. Therefore, survival of species including bees is utmost important. So, let us all come together to save our earth and make it a better place to live by protecting and conserving the honey bees.